PROSECUTOR’S OFFICE OF ROME. OPERATION “EYEMOON.” MEGA.CO.NZ and other 24 PORTALS seized. KIMDOTCOM And The Russian oligarch ALISHIR Usmanov BETWEEN THE TARGET. Cyberlocker Mega.co.nz ( owned by Kimdotcom (ex Megaupload) was seized by Preliminary Investigations Judge of Rome, as well as the giant Russian mail.ru, owned by Russian oligarch Alisher Usmanov intimate of President Vladimir Putin. Record seizure of cyberlocker sites and filehosting by the Prosecutor’s Office of Rome. The Judge for the Preliminary Investigation of Rome Constantino De Robbio, at the request of the local public prosecutor, ordered on 14 July to the seizure of 25 international portals, most of cyberlocker, for copyright infringment . The operation was carried out by communications police in Rome. The title of the crime is Article 171 ter, paragraph 2 of the law on copyright. The seizure would follow to a report of a small independent Italian distributor who debuted in the market in 2012. It is the second-largest seizure in Italy, but the most important for the names involved in seizure. Among the targets of the Prosecutor of Rome, we find the name of the cyberlocker Mega, owned by former proprietor of Megaupload, Kimdotcom. Mail.ru seems to belongs to Russian oligarch Alisher Usmanov, one of the richest men on earth, intimate of President Vladimir Putin, and that would be the strong man behind the acquisition of the shares of Russian social network Vk.com last April. 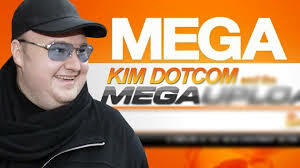 Nearly all the portals are the property of the Russian, except for Mega belongs precisely to Kimdotcom. The operation of the Public Prosecutor of Rome highlights once again the futility of AGCOM regulations on copyright, which entered into force on 31 March last year and that up to now, over 108 reports, produced the result of inhibiting only 5 portals which would be devoted to piracy (2.5% of the instances presented).